Montana Fish, Wildlife & Parks is taking the next step toward delisting grizzly bears in the Northern Continental Divide Ecosystem by formalizing how the agency will manage the population. On Thursday, the FWP Commission will decide whether to give initial approval to a new administrative rule that would set state grizzly population objectives for the 16,000-square-mile area, which includes Glacier National Park and the Bob Marshall Wilderness complex. If approved, the rule would go out for public comment, then final approval in December. 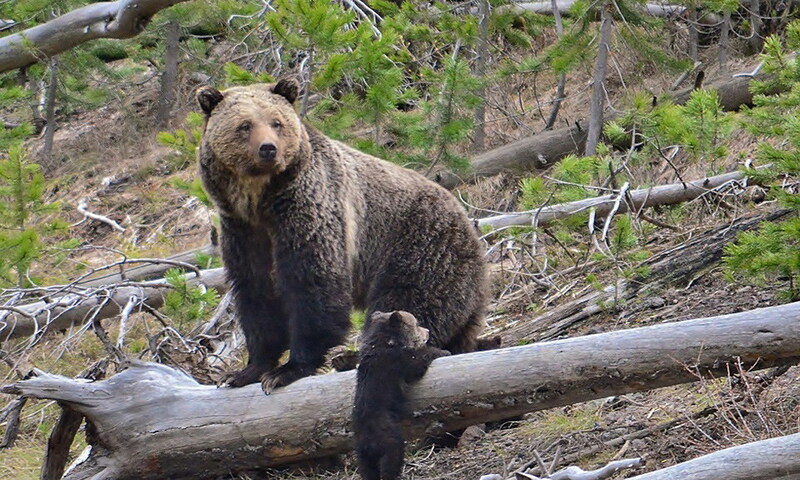 In mid-June, the Interagency Grizzly Bear Committee released a conservation strategy for the northern population, which depends on cooperation between federal, state and tribal entities. However, the executive committee delayed its decision to endorse the 326-page document until members had a chance to review it. A vote is expected by the end of summer, and an initial delisting proposal is expected sometime this fall. For its rule, FWP has taken the population objectives laid out in the conservation strategy and tailored them for FWP biologists and supervisors. According to the rule, FWP would track bear deaths to ensure there’s a 90 percent probability the population within the designated monitoring area has more than 800 bears. In addition, female bears must have a survival rate of at least 90 percent and male mortality can be no greater than 15 percent over a six-year running average. Finally, there must be evidence that, at least once every six years, female bears with cubs are living in 21 of the 23 bear management units in the core recovery zone and in six of seven units of the buffer zone surrounding the recovery zone. Grizzly bears are difficult to count directly, so biologists have to use indirect sampling methods – such as hair traps on trees bears like to rub on – to estimate the number of bears. That’s why biologists need a high probability of certainty that their methods approximate the population size and why the population actually needs to be about 1,000 bears. Indirect methods don’t allow for managing down to an exact number. A summer like this one, where bear deaths due to car collisions alone have been high, highlights the need for biologists to track mortality due to all causes. In the NCDE as of Aug. 1, 13 bears have been lost in highway collisions. The Interagency Grizzly Bear Committee oversees five regions that were considered for grizzly bear recovery, and biologists expected that migration corridors would connect the populations so they wouldn’t become inbred. But so far, no evidence has shown that bears from different populations are interbreeding, so biologists need to monitor each population’s genetic health. So far, only the Greater Yellowstone Ecosystem population has been delisted, with an estimated 700 bears in 2017. In 2014, the NCDE population was estimated at about 960. The Cabinet-Selkirk region is limping along with about 60 bears, which is too low to be genetically sound. So far, no populations are established in the Bitterroot or Cascade regions.